Barnsley College Performing Arts students. Performing Arts students invite the public to their performances of the Greek Tragedy Antigone by Jean Anouilh. Students will take to the stage at the Electric Theatre on Wednesday 27 and Thursday 28 March at 7.00pm. Jean Anouilh’s play is inspired by Greek mythology and the play of the same name by playwright Sophocles. The play follows tragic hero Antigone’s story of resistance. 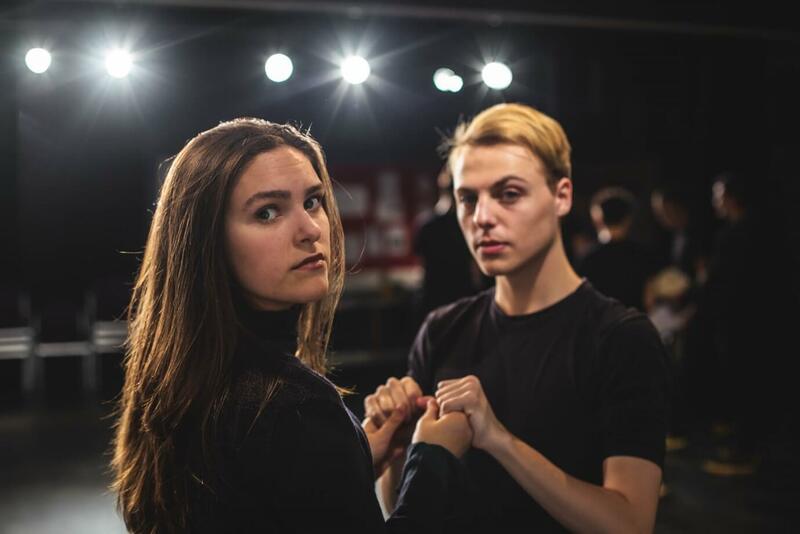 After her brother is denied the dignity of a burial, Antigone refuses to bow to her ruler and prospective father-in-law and instead chooses to fight for all that she believes in. Paul Atkins, Performing Arts Course Leader at Barnsley College, said: “Our production of Antigone will be set in a post-apocalyptic present. The desolation of the setting has exposed the actors, preventing them from hiding behind the set, costume and lighting design and forcing them to rely purely on their acting skills and interpretation of the text. It has stretched and challenged the students and we’re extremely proud of the hard work they have put into the show. Tickets for both dates are available now at ticketsource.co.uk priced from £5 to £8, book for two upcoming shows and receive a 25% discount on tickets.